Bangkok is probably one of the most popular weekend getaway locations of Singaporeans. Less than three hours away by plane, Bangkok offers delicious food, affordable but good massages, and lots of shopping that we can never get enough of. We know that you might have been travelling to Bangkok regularly, and habitually check into the same accommodation that you love. 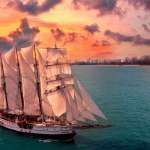 But if you are thinking of having a different experience and maybe take more interesting photos for your Instagram feed, these 15 themed hotels in Bangkok may be where you’d want to check in at your next visit! Want to pay a tribute to your favourite Netflix series Orange is the new black? 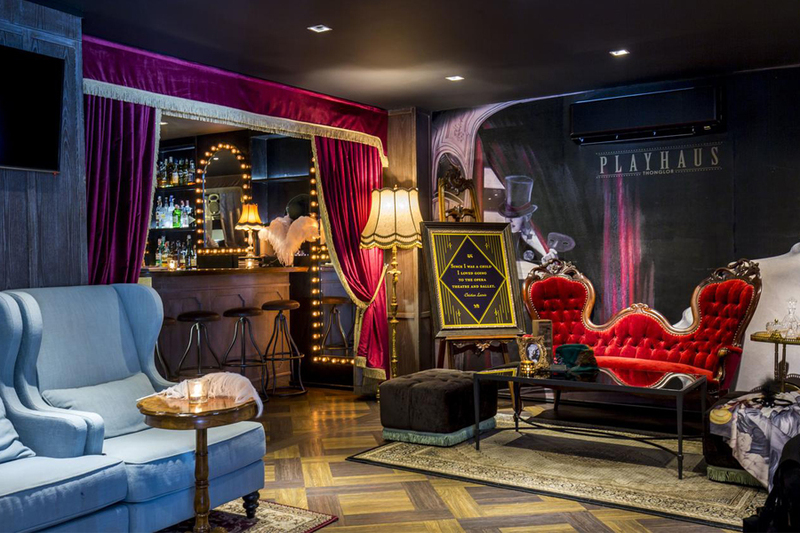 Well, you might be interested in staying at this themed hotel in Bangkok. With breakfast provided for all guests, Sook Station offers guests to choose between rooms that accommodate two to four “inmates”. Located further away from the busy neighbourhood and at Udom Suk, it takes about 20 minutes sky train rides from Sukhumvit Road. 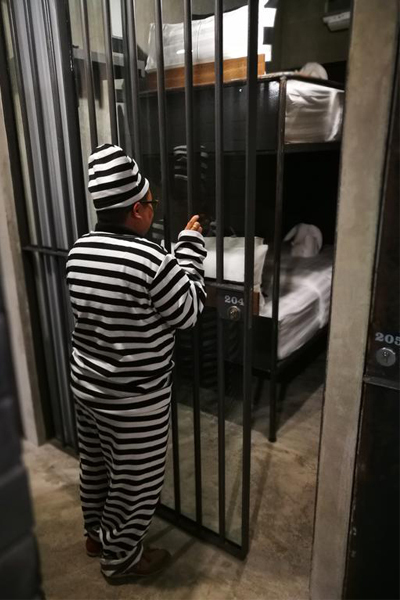 Get to experience what it is like to live ‘behind bars’ from SGD75 per night and above. 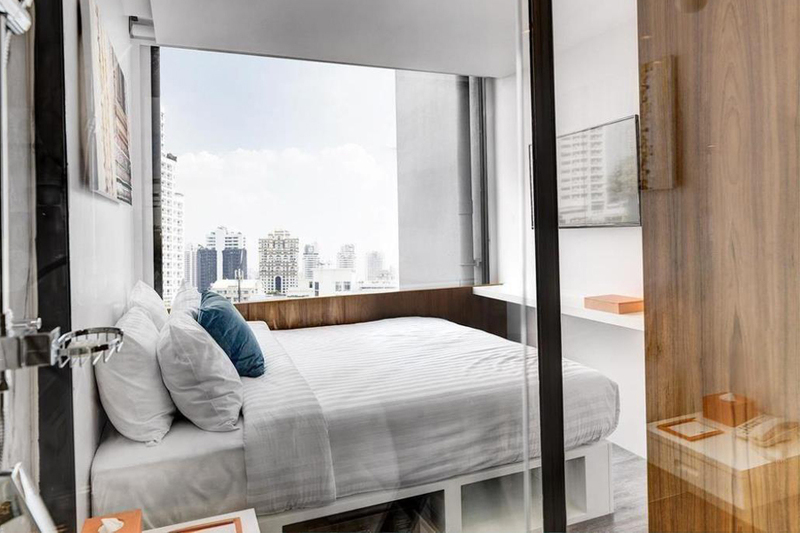 If you are travelling on a budget, you might want to check out this box hotel offered by S Box Sukhumvit Hotel. 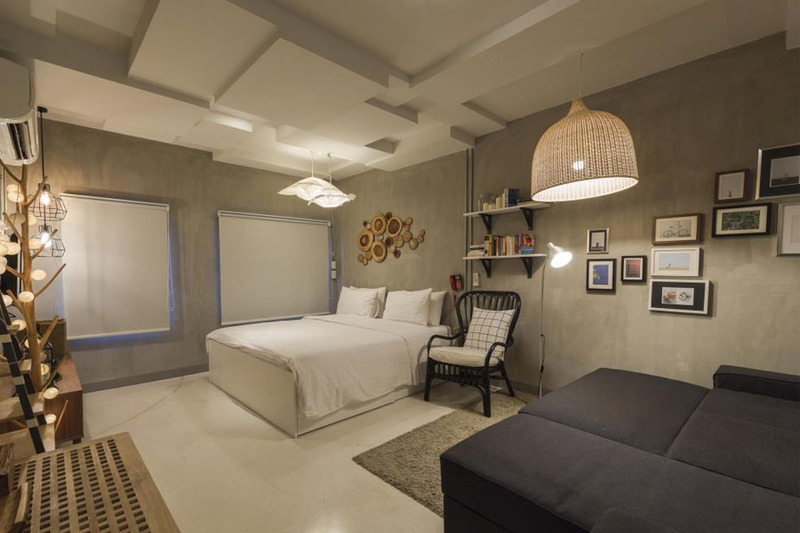 Designed with a block concept, guests get to stay in box-like rooms that offer a compact yet luxurious stay at an affordable price. In the heart of Bangkok and 500m from Phrom Phong BTS Station, it easily accessible to the all the attractions and transport. A stay per night begins from SGD40. 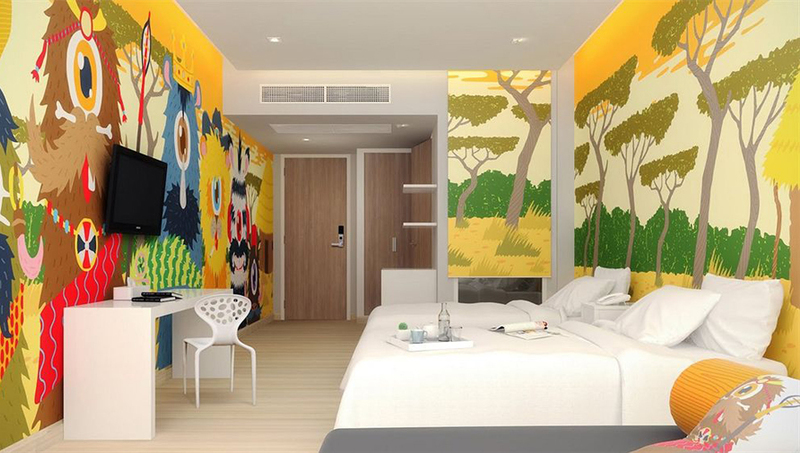 An art junkie will never be able to resist this hotel as it is decorated and filled with art works by young artists from the field of graphic designs. 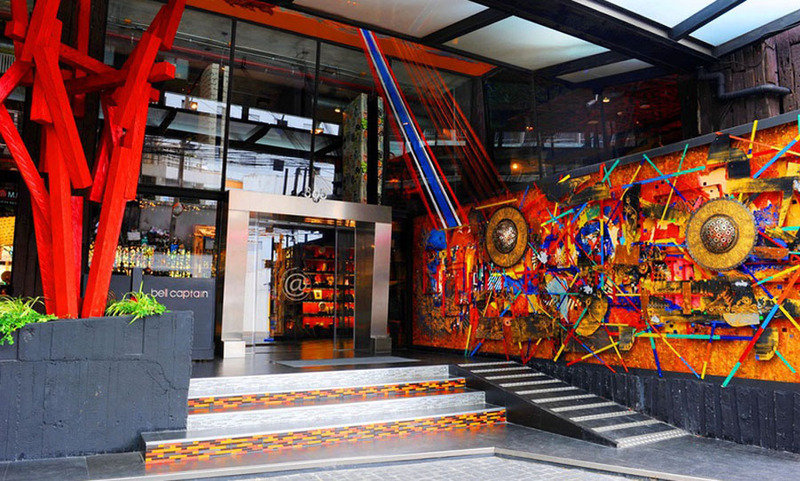 Beat Hotel calls itself “the art of Bangkok” and emphasises how the guests get to be “part of the 3D artwork” when they stay with them. Located near Phra Khanong sky train station, you can find yourself getting lost in Bangkok’s numerous art galleries and local attractions. 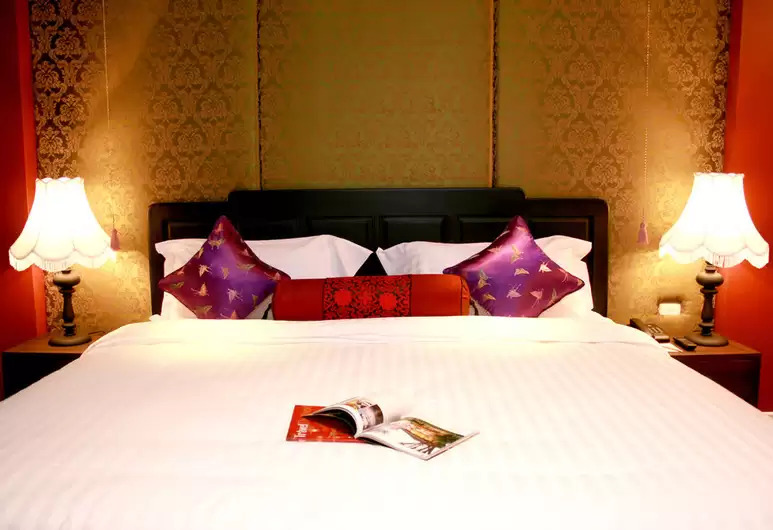 A stay for one night begins from SGD60 and above. Is it always your dream to live in a tree house? If it is, this is your chance to be able to experience nature with a modern twist! 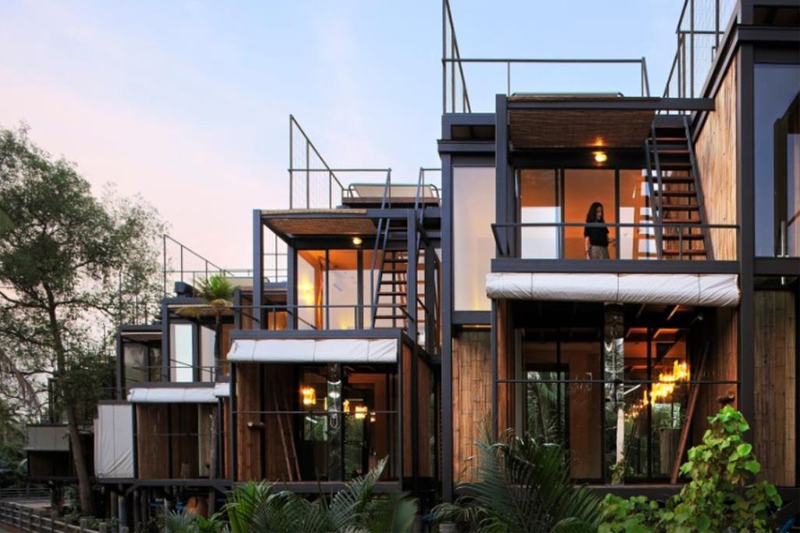 According to Bangkok Tree House, they aim to spread the awareness of going green and the importance of protecting the environment. However, take note that this may not be the stay for everyone as they don’t believe in killing insects and mosquitoes, which some may be bothersome. 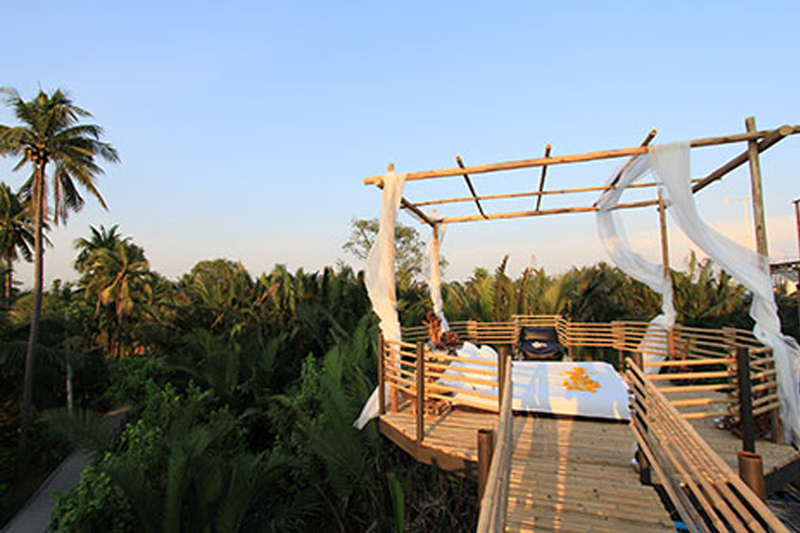 If you are up for this one-of-a kind experience, you can find this tree house located within 5 minutes taxi ride from Bangna BTS Station. 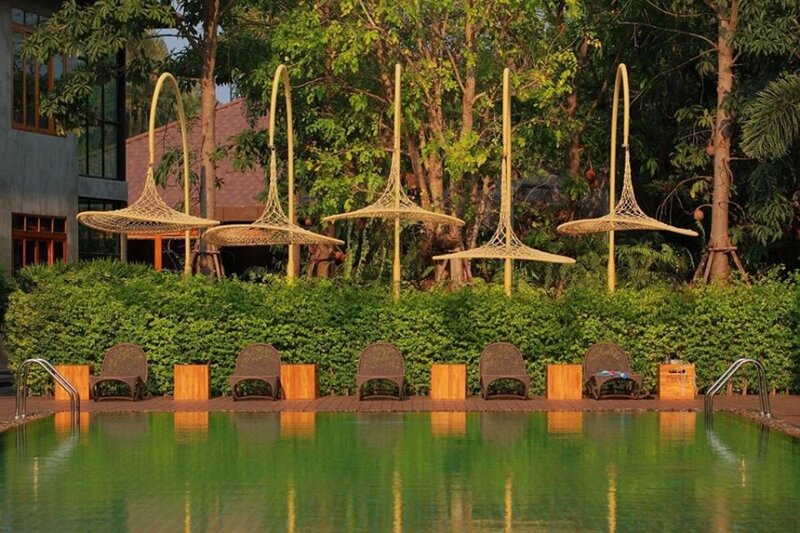 It costs SGD160 and above per night depending on the type of bed and the season which you visit. 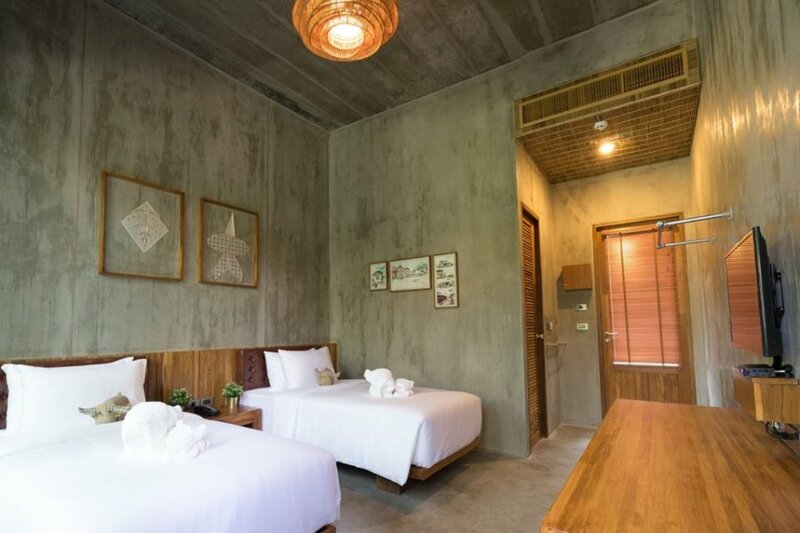 For those who just want to enjoy a hotel with simple and old town vibes, Baan Kachitpan may just be the one you are looking for. 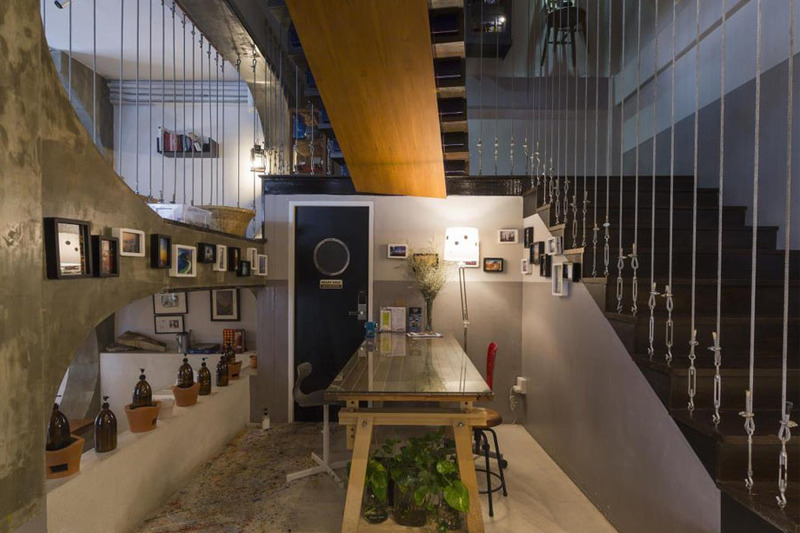 Located at a quiet alley along Khao San Road, it is still convenient because it’s right in the heart of the city where you can easily access to famous places such as the Emerald Buddha, the Giant Swing and many more. Prices for a night stay begins from SGD42 and above. Looking for hotel in Bangkok where you can get away from the hustle and bustle of busy modern city life? Well, The Buffalo Amphawa allows you to unwind and relax with the ‘buffalo’ theme which they are going for. They have 36 rooms that are designed in a way that you get to enjoy the combination of local crafts and wood. One interesting thing to take note is that they also have their own mini buffalo farm! 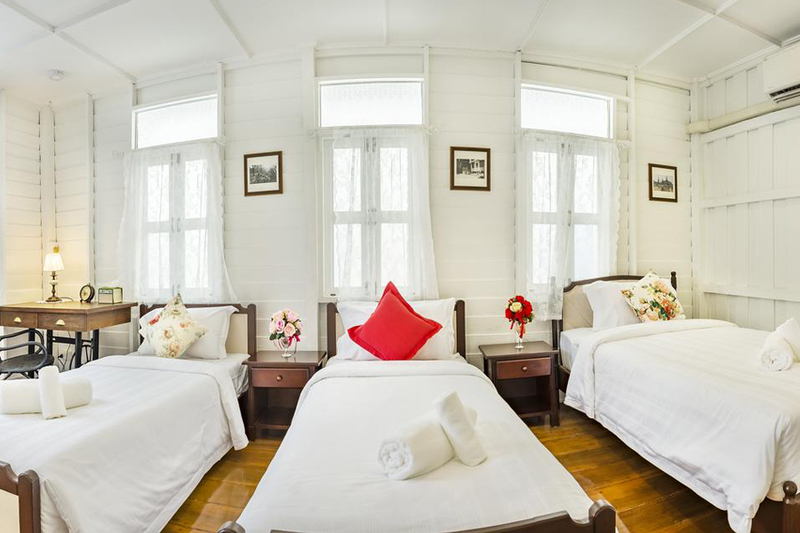 Situated in Samut Songkhram in the Samut Songkhram region, a night at this lovely hotel begins from SGD140 and above. 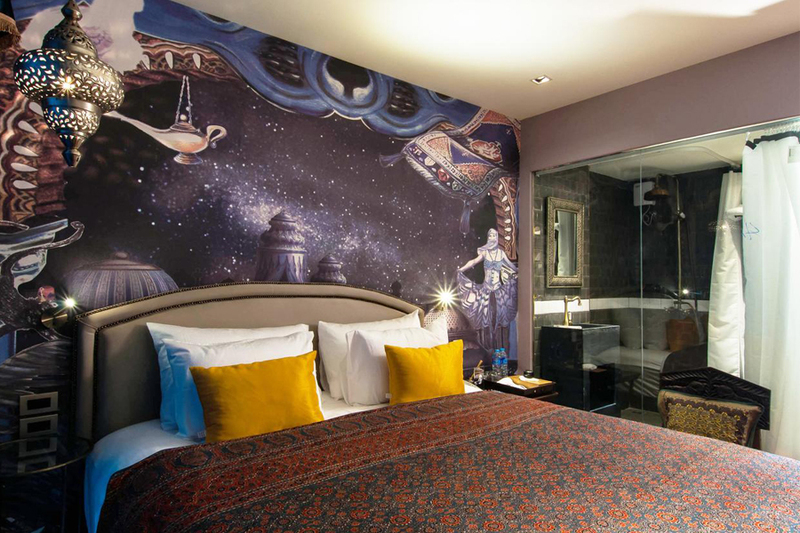 Located in the heart of Chinatown, The Shanghai Mansion is a themed hotel in Bangkok that not only channels the beauty of Chinese culture but also allows guests to feel that they have time traveled back to ancient Shanghai. Shanghai Mansion also serves as a venue for Chinese opera! You might want to think about catching a show while you are here! Prices begin from SGD110 per night and above. Are a fan of theatre and drama? 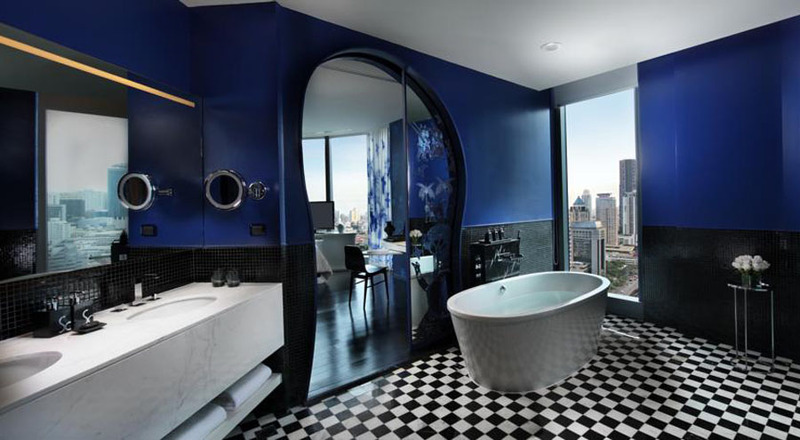 If you are, then this hotel in Bangkok is going to jazz up your stay. Designed with intricate furniture and mirrors, you get to immerse yourself in a themed room and feel like were part of the cast of a play. “Backstage Cocktails Bar” is one of their main attractions for many guests as they have their bar designed like the backstage of a dressing room. The classic light bulbs attached by the sides of the mirror allow many female guests to check their appearance from time to time. Psst, this is probably one of the best spots for photos! Prices begin from SGD55 per night and above. The colour blue gives people a sense of calm and also allow people to relax. 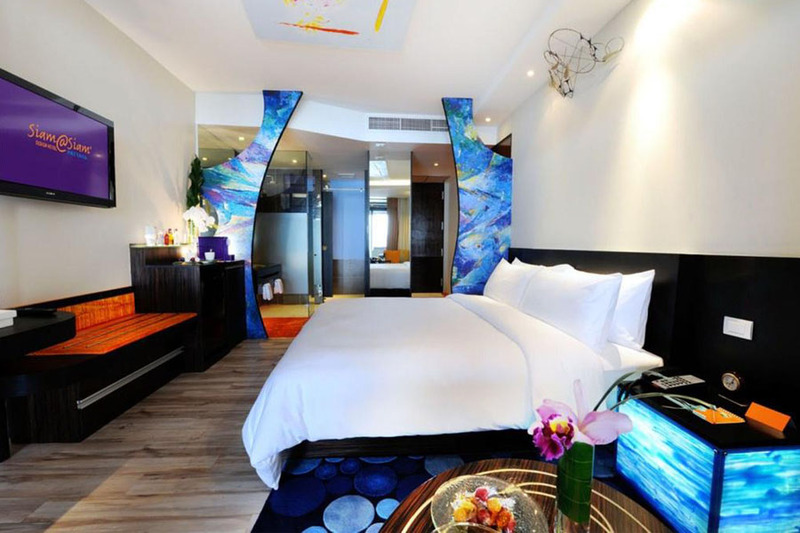 Perhaps that is why this blue-themed hotel in Bangkok is called Dream Hotel. 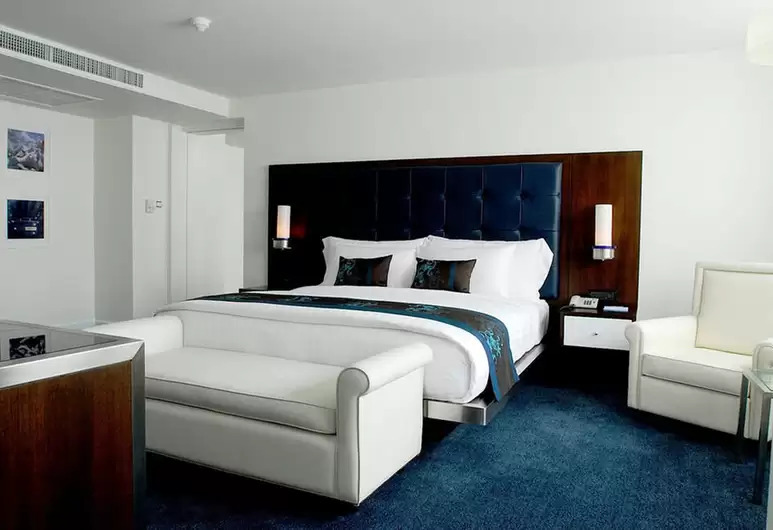 Blue-coloured lights are used in many of areas in the hotel to give off a sense of relaxation while exuding modernity. 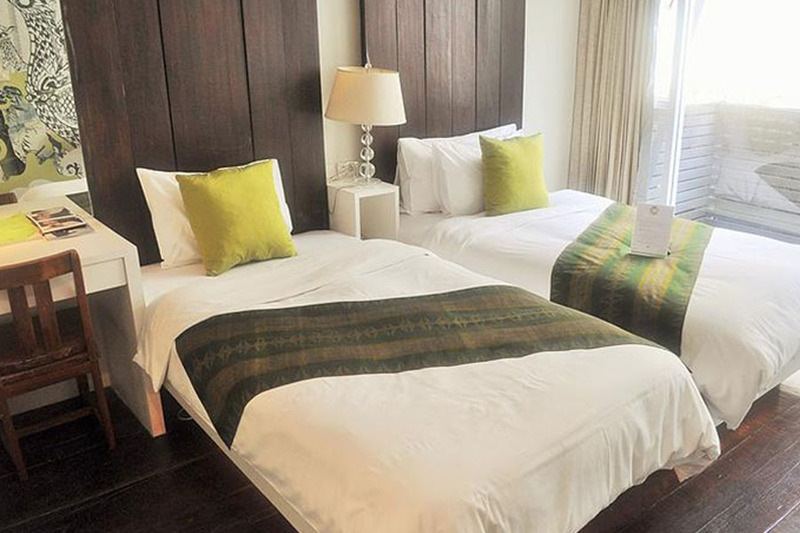 Located n the heart of Sukhumvit, it takes you only five minutes from Asoke BTS Station! 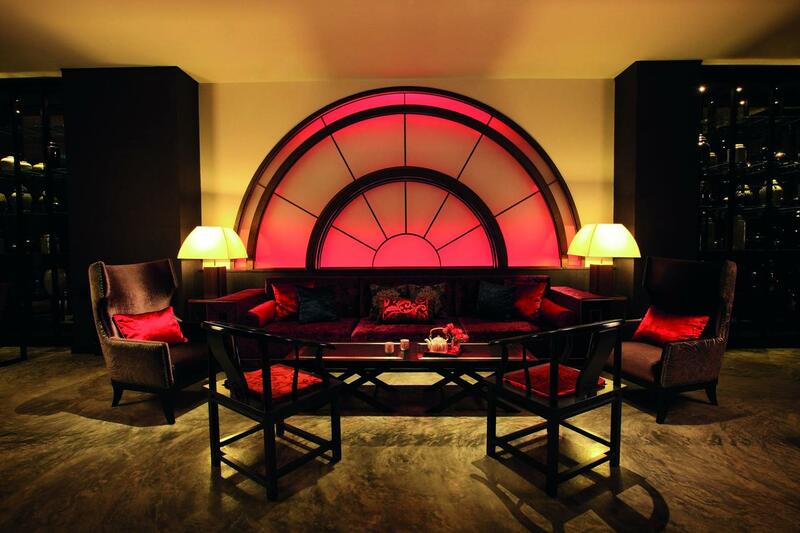 A night at this hotel begins from SGD118 and above. Sometimes you wonder how does the owner of a hotel decides on the theme but usually it just comes down to the simplest thing – their passion or hobby! 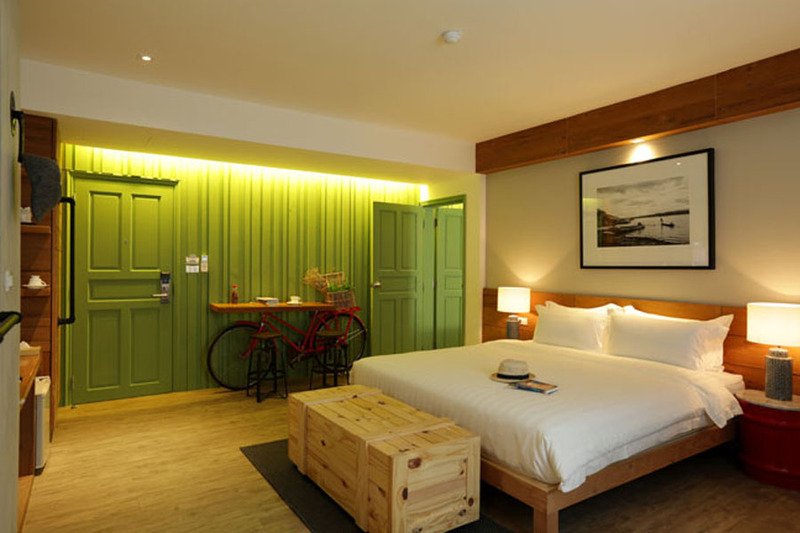 Apparently, the owner of Nandha Hotel is a fan of bicycles and decided that the theme of the hotel will be exactly about that! 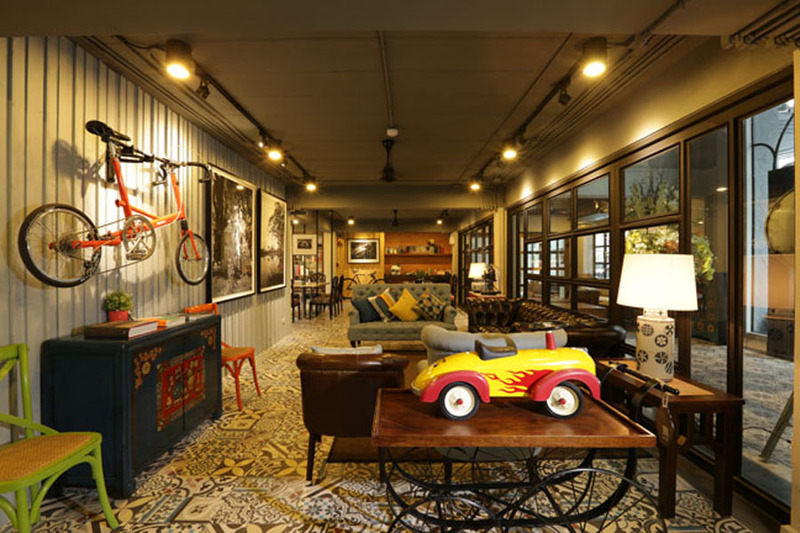 Many reviews gave this themed hotel in Bangkok a thumbs-up as not only because of its friendly owner, but also because the location is also easily accessible. Nandha Hotel can be found easily within walking distance from Asoke BTS Station. The beautiful interior that offers lots of photo opportunities certainly doesn’t hurt too! 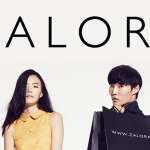 Prices begin from SGD53 and above. 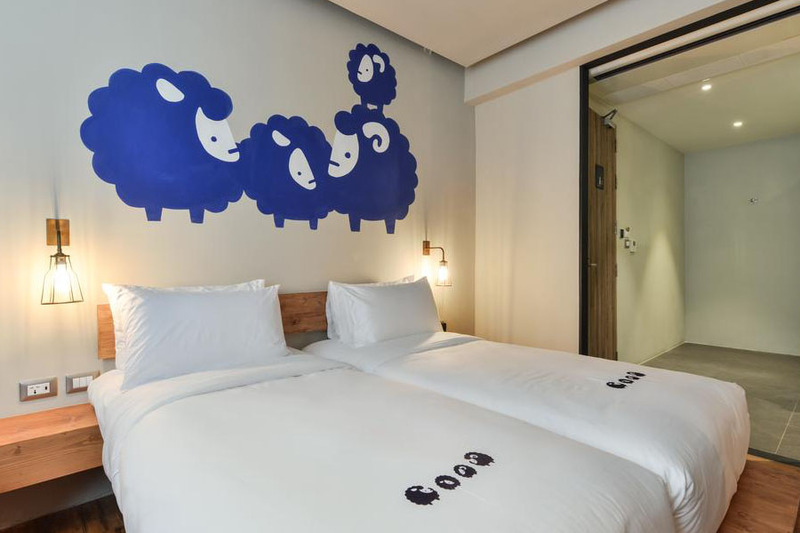 If you can’t get yourself some sleep at night, you can literally ‘count’ the sheep here in Kokotel Bangkok Surawong! This hotel is filled with different shape and sizes of sheep and those who are in love with the furry animal are going to love staying here. Don’t forget to bring along matching pyjamas for a super cute photo session in the room. It only takes 15 minutes walk from Chong Nonsi BTS Skytrain Station! Prices begin from SGD40 per night. 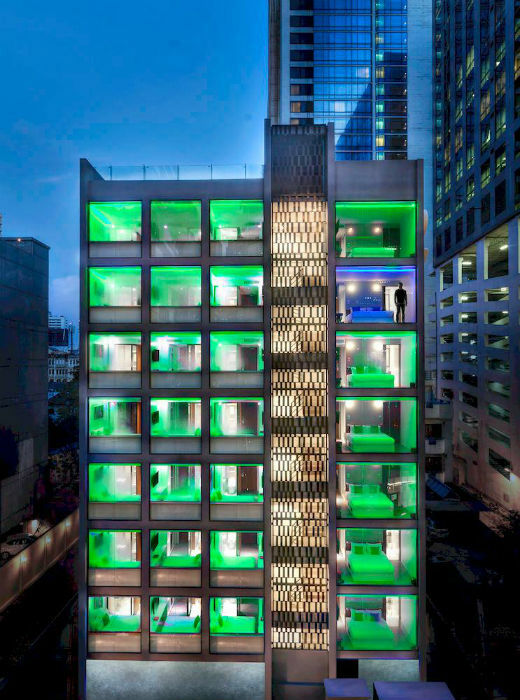 An art junkie would fall in love with this hotel once he or she steps inside. 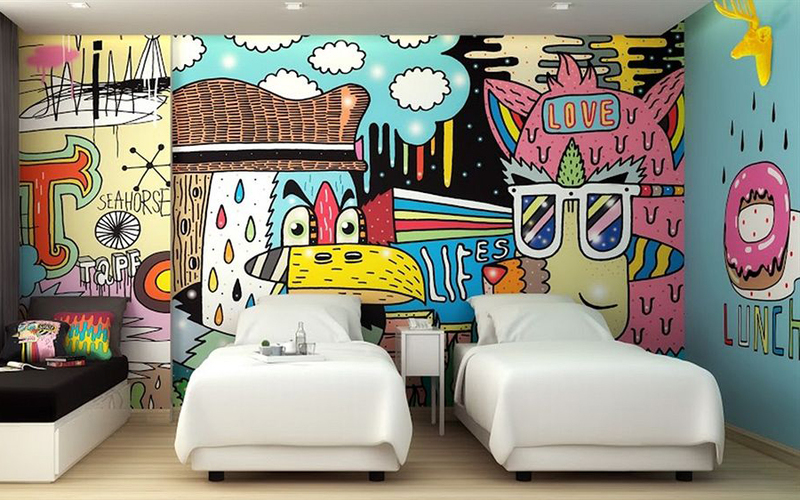 Also known as an artist hotel, this hotel is decorated with funky art pieces. The different colour themes that are presented through the pieces are definitely going to blow your mind as you step into the space. With a large variety of facilities such as rooftop bar and different functions room, you can get yourself entertain just within the hotel. This hotel can be easily accessed by taking a few minutes walk from Siam Paragon and many popular tourist attractions at that area. Prices begin from SGD175 and above per night. 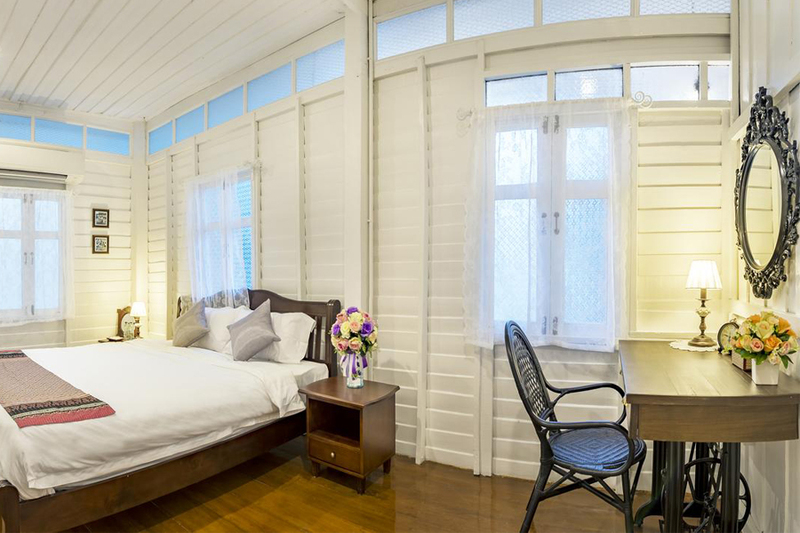 Unlike the other hotels featured that have standard themes throughout the entire hotel, every room at The House of Phraya Jasaen is decorated differently. What this means is that, you’ll only get to find out what unique look your room is going to have after you check in. Located within 10 minutes walk from BTS Saphan Taksin, you can also access easily to other tourist attractions. Prices begin from SGD46 per night. For those who believe that colours play an important part of a person’s mood, you should definitely check out Seven Hotel! It draws inspiration from ancient Thai art and ancient Indian astrology such that different colours have different meanings. 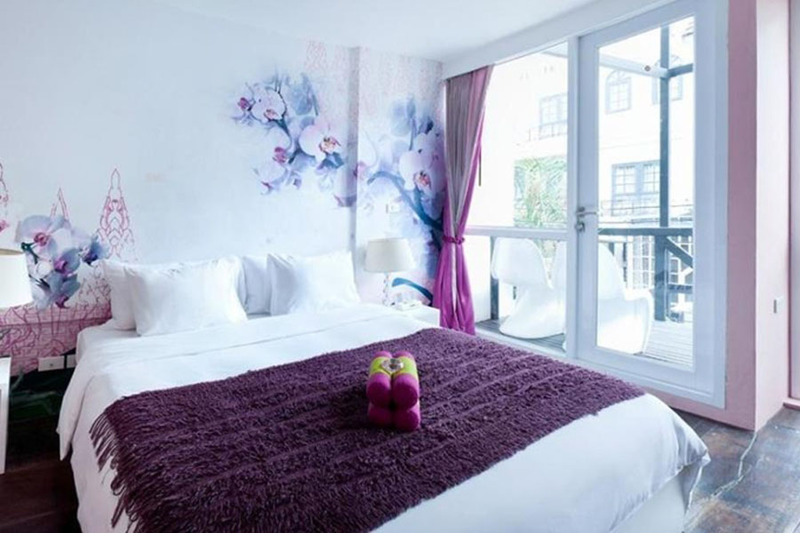 Guests are spoilt for choices as the rooms are available in six different colours (yellow, pink, green, orange, blue and purple). 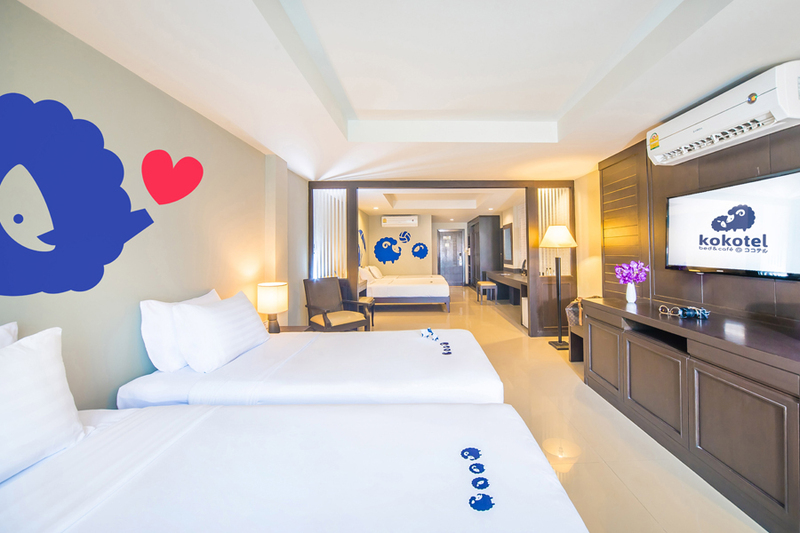 Located 5 minutes away from Phrom Phong BTS Skytrain station and Asoke MRT underground station, you can find this hotel easily! Prices begins from SGD68 per night and above. Drawing inspiration from the five elements, So Sofitel aims to deliver the representation of each element through the rooms they provide. 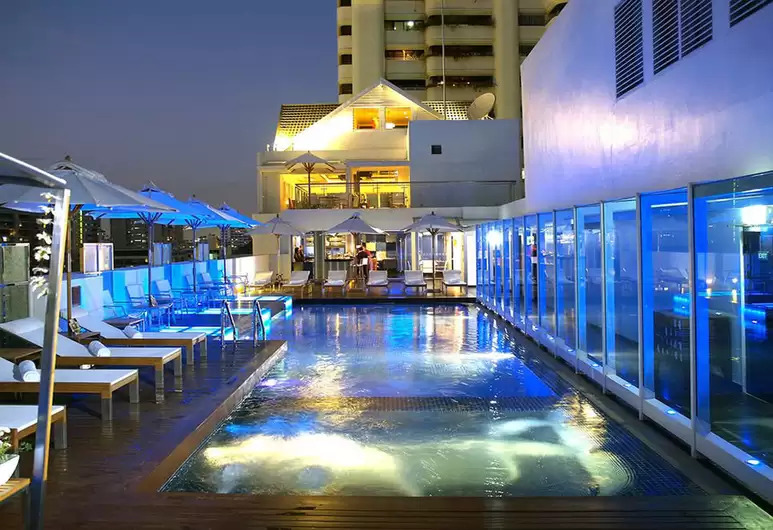 This five-star hotel in Bangkok guarantees a great experience with beautiful rooms, great facilities, and a professional team of service staff. It only takes you 10 minutes to walk from Lumphini MRT and Sala Daeng BTS station. 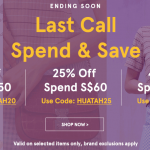 Prices begin from SGD220 and above.